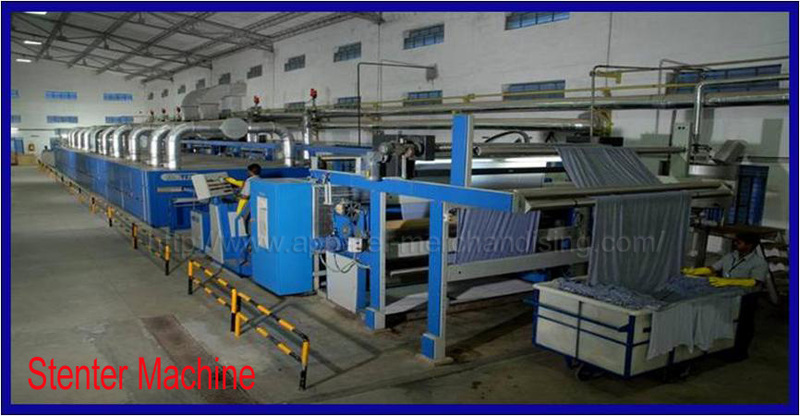 Stenter is used for Heat setting the Elastane blended fabrics and also for the drying process. Clips and pins are being used to hold the fabric inside the chambers where hot air is circulated by using nozzles in different conditions according to the process. (For Example – for heat setting the hot air temp would be around 200 deg C and for drying the hot air temp would be around 160 deg C). Normal finishes as well as specialty finishes can be carried out with the padding attachment given in the machine. 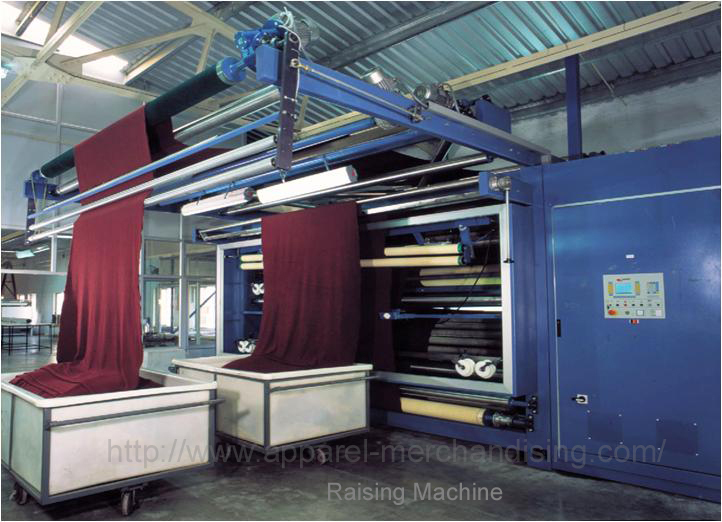 A Weft Straightner can be included in the feeding zone to control the spirality of the fabric. Compacting is an important process to improve the Dimensional Stability and the hand feel of the fabric. The fabric will be passed through felt or rubber or metal shoe arrangements on a cylinder which should be heated by using steam and the fabric gets required dimensional stability when it passes through the compacting units. Raising is a process to add value of the fabric. Normally fleece / loop knit fabrics which are having loop structure in one side will be undertaken for the raising finish. 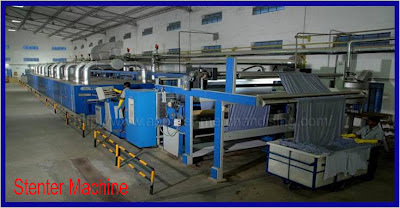 Raising effect will be occurred by using drum contains the piles and counter piles made by needles will rotates opposite direction of the fabric passing. Sueding and peach finishing is nothing but the mild brushing of the fabric surface by using bristles made on nylon.